I wanted to take a moment out of blogging about the event at Gettysburg last year, as news hit last night during the SyFy show, Ghost Hunters, that Grant Wilson, the co-founder of TAPS is leaving. 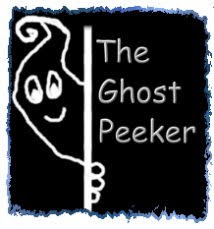 It is very sad to see one of the first investigators who helped to bring the paranormal to our living rooms, step away. Just watching this little bit, had me in tears. I met Grant about 3 1/2 years ago at the Stanley for my first Ghost Hunting event. It was because of him and Jason putting TAPS on tv that was able to reach out to so many others and opened up this whole field. Grant is a very nice man and was most kind to me when I met him at the Stanley Hotel. His soft-spoken manner and gentleness with the clients, fans, and his co-workers has touched many people throughout the world. It will be hard to watch Ghost Hunters without seeing him there in the van with Jason and investigating together. I am glad to have read that he is not ill and that he is instead leaving to pursue other interests. If you 'like' his facebook page, you can see that he is a talented artist! He also has co-written a book with Jason Hawes: Ghost Hunting: True Stories of Unexplained Phenomena from The Atlantic Paranormal Society. You can get it at Amazon or Barnes & Noble. Grant, from me and my family, we wish you all the very best and thank you for being such a nice guy. You have truly touched many lives around the world. We've enjoyed watching you! Take care!